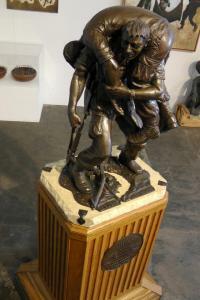 So much of the art of Vietnam veterans, created just after they came home, is full of pain and ghosts. 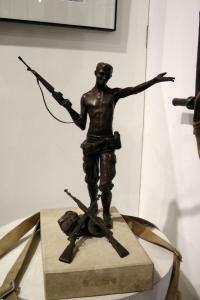 I made my first sculpture twelve years after leaving Vietnam. The gesture of the soldier, who has just found an enemy cache, is one of victory or celebration; for me, it is the gesture of being one step closer to home.